Kenwood not only carry out works to residential properties, we are often called out to look at commercial premises too. 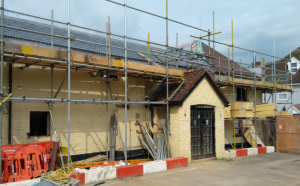 Our latest project involved working on this commercial property in Reading. The property is being transformed from a Public House to a well-known supermarket. 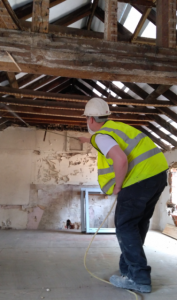 This particular project involved the treatment of roof timbers for a Woodworm infestation. Co-ordination was essential in the project as our work had to be completed prior to refurbishments continuing. Kenwoods product is ideal for a project such as this where time is a factor. With our 1 hour re-entry from completion of the spray treatment the contractors could quickly come back in and continue the works.